A graph and table of values of points on that graph. You can set the initial input and the change between inputs. There's a free input also. 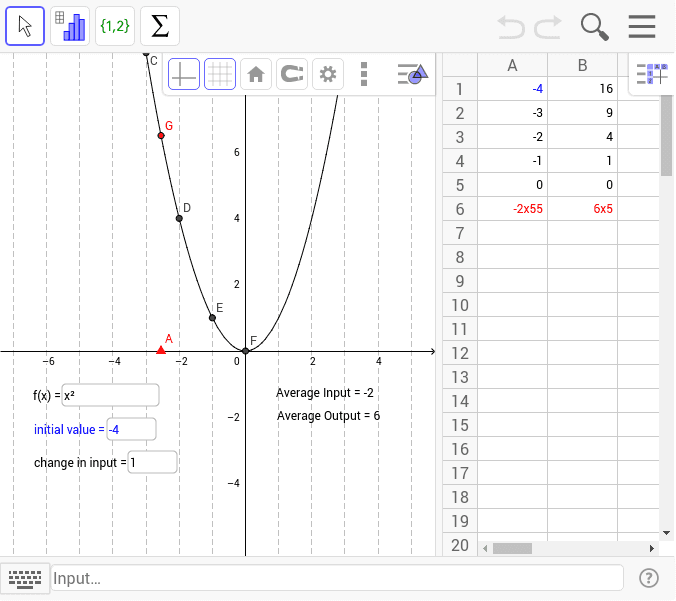 More GeoGebra available at mathhombre.blogspot.com.